Development of a simulator of the veterinary clinic. There were developed both WPF application to administrative tasks and ASP.NET MVC website for customers. This is a simulator of the veterinary clinic. 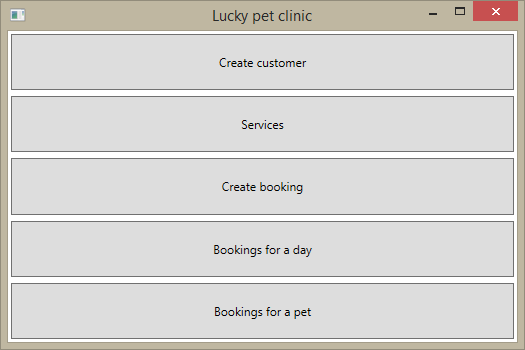 It has the administrative part, written as a desktop application (WPF), which can administrate customers, their animals, and to manage of bookings. The second part is the website (technology ASP.NET MVC), which help customer reserve time to visit. Each reservation automatically checking for availability.